Hover over the team member you’d like to read more about, if you’re using a mobile device, simply press the screen over their picture! 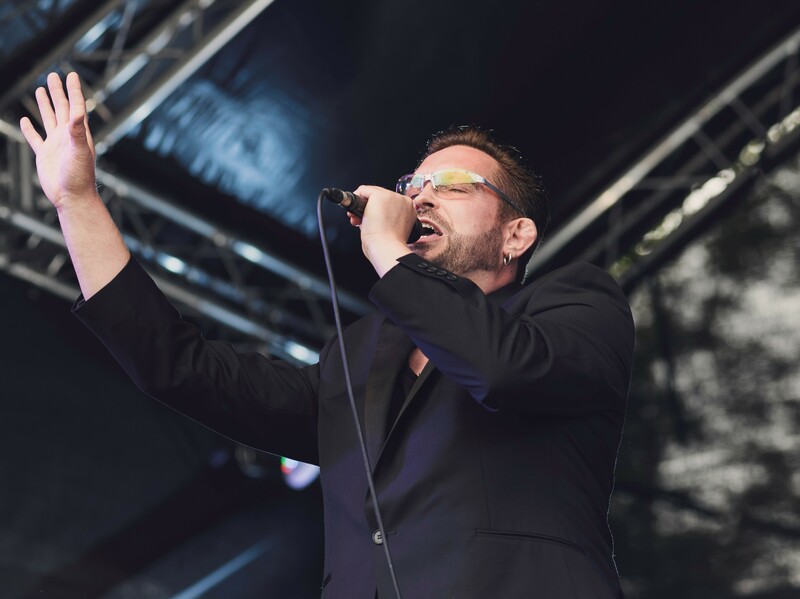 After studying music at Aberdeen and Edinburgh Universities, Andy’s professional music career included work as a singer, pianist, musical director and arranger. Projects have included DanceSing and SOS Secret Opera Singers. Show successes feature Sunshine on Leith; Made in Dagenham; South Pacific and Dancing in the dark. He is looking forward to this new venture celebrating the music of George Michael. Guitarist Bobby has had an accomplished, varied career featuring eclectic appearances as wide ranging as appearances on TV talent shows with Spinning Wheel through to productions at The Edinburgh Fringe. Recording contracts have featured acts such as Jody and record label signings have included State Records. A constant on the music circuit – Bobby looks forward to his work on the George Michael Songbook tour. Musical tour de force and multi-instrumentalist Steve is an accomplished acoustic, lead and bass guitarist and keyboard player. Early successes came with the bands Another Pretty Face (formed by Mike Scott ahead of The Waterboys) and playing bass for The Scars as support act for Siouxsie and the Banshees. His current body of work includes The Cathode Ray; Dirty Harry the Ultimate Blondie Tribute band and international work with Irish chanteuse Camille O’Sullivan. Steve enjoys playing the diverse range of musical styles displayed throughout George Michael’s career as it evolved. Hairdressing super creative Jaime has had an illustrious career. Stars to have the ‘Jaime look’ have included Jason Donovan, Darren Day, Darius Danesh and film premier work for Catherine Zeta Jones. Of her work on the George Michael Songbook “Thankfully Grant provided a good blank canvas for me to work on the George Michael look by possessing facial features in a similar range to George’s. I selected George’s mainstream iconic hair style of well-groomed short back and sides with varying degrees of longer, sleek, textured hair. Missy Parker put the final touches. I’m delighted with the finished look! Missy Parker trained for her craft as a beauty and make up therapist in both Scotland and London and is also an accredited fully qualified teacher in her field. Missy Parker has worked on a wide variety of projects from specialist clients to fashion shows and applies her skills set to putting the final touches to Grant’s look on the George Michael Songbook.